If you have followed one of the online courses of the project and you have just enrolled in UniTo, you can sign up for the exceptional exam Star@Unito. Starting from 15th October 2018, it is in fact possible to take the exam of online courses, made available by the project Start@Unito. having signed up for the exam on MyUnito. During the exam, you must bring ID card and the certificate of attendance, obtained at the end of the online course. But let’s take a step back… Do you know the Start@Unito project? Whatever may be the degree course you are interested in, UniTo makes available free online teaching, that you can follow even if you are not a university student yet. You can study at you rhythm, practice with self-assessment tests and take the exam as soon as you have enrolled. Signing up is simple: you just have to visit the platform Start@UniTO and choose the courses you like. You log in with a click, also by using access details of social networks and you can immediately start your new courses. 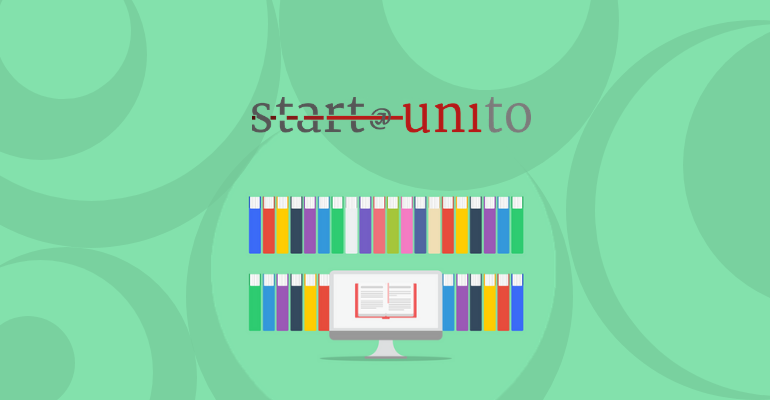 Start@UniTO allows you to start university on the right foot: not only does it help you in choosing the right courses for you, but it also allows you to obtain, from the very beginning of your university career, an exam already passed! This initiative starts as part of the strategies for the improving in quality and efficiency of didactics, in order to promote and make the transition between high school and university easier, throughout the realization and spreading of a series of teaching, entirely online, to get closer to the university system. This allowed students attending the last year of high school (school year 2017-2018) to check their university choice. Besides evident relapses in terms of orientation, this projects wants to be a tool for facilitation, motivation and support at the beginning of university, considering relapses as a positive sign to reduce the rate of retreat and dispersal. The project led to the realization of 20 open online courses (usable by all users, who have personal access details in order to grant a simple monitoring of accesses), on wide and general topics, which are preparatory for the university courses of the first year. At the end of the courses, students will be given a certificate stating the acquired knowledge, that will be necessary to students enrolled in UniTO in the academic year 2018-2019 (bachelor’s or master’s degree) to immediately take the exam. In this way students can get their learning credits in advance compared to the standard degree course. In addition, the fact that the teaching is open and accessible by everyone will make the project more open to the audience, meaning also people who are not future UniTO students, in accordance with the purposes of “terza missione” and “public engagement” of the university. Come nasce e come funziona un farmaco? (how is a drug created and how does it work?